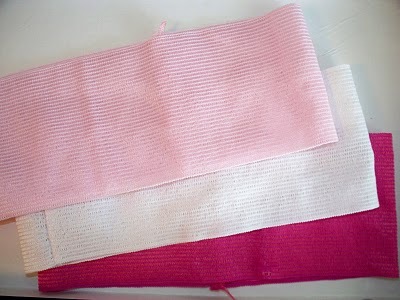 Here is how the twisty fabric ones are made. 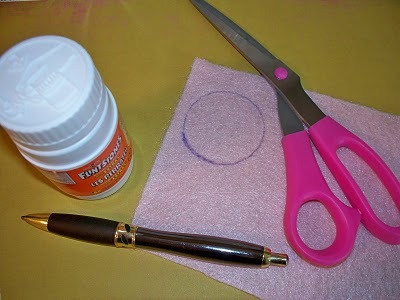 I trace around the lid from my son's vitamins to make the size of circle I want on a scrap piece of felt, then cut it out. 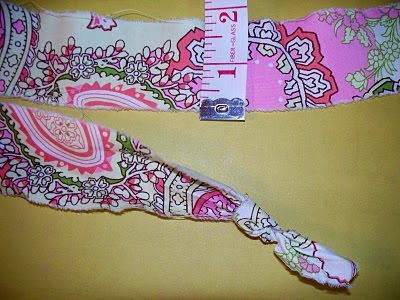 I tear a long piece of fabric that is just under 2 inches wide. 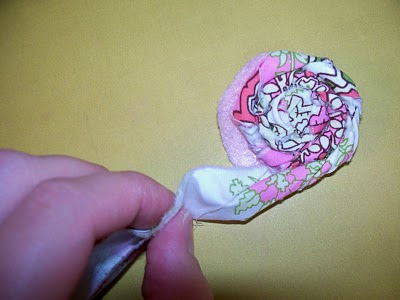 If you want a more tidy looking flower, cut the fabric instead of tearing it. Tie a knot at the end. 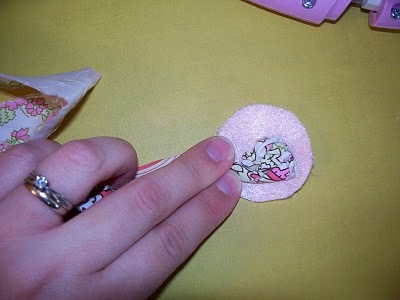 Then glue into the center of the felt circle. 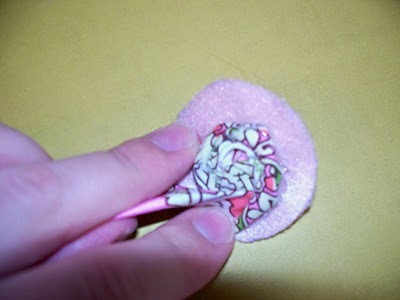 ...until the piece of felt is covered. 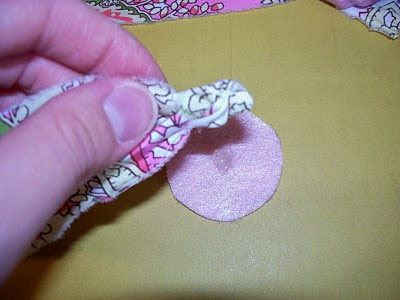 Trim the unnecessary fabric off, then tuck it under and glue down. 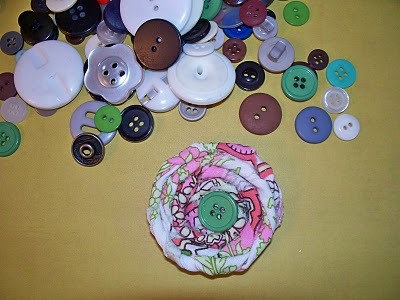 Add a button or other embellishment if desired. 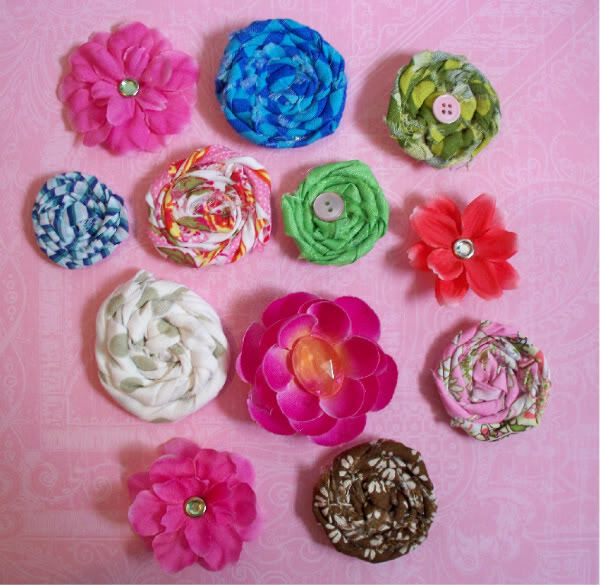 These are great to decorate headbands, hair elastics, clothing, bags, etc......! 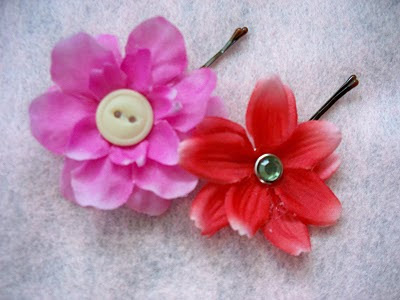 You can also add them onto bobby pins instead of the flowers I added onto these bobby pins that I made for my niece. I bought the black and white elastic I've been making headbands out of from Fabricland. I can't remember the cost per metre, but it is really cheap. 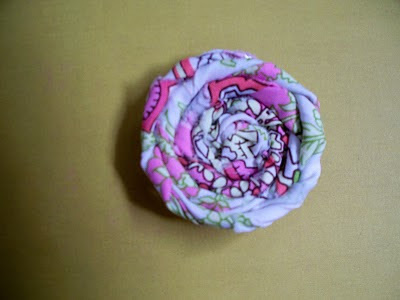 I bought 2 metres of it and that has been enough to make at least 6 headbands. I also bough this set of 3 wide ones from Dollarama. I fold them in half them sew the edge so they aren't too wide for my daughter's head. 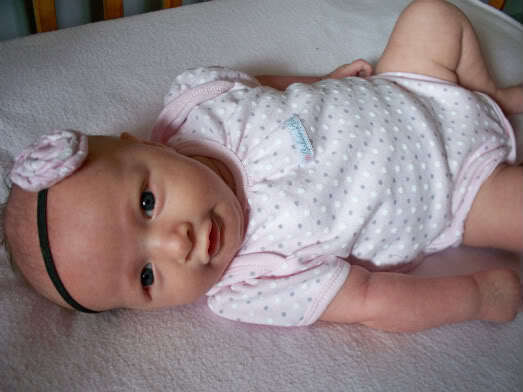 They seem quite comfy on her little head and they stay in place pretty well, too! 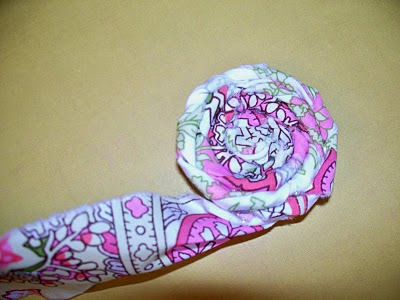 This is the easiest tutorial I have seen for these rolled flower roses! I think I might try it this time! Found you through making the worl cuter. Great tutorial! This will really help me out. 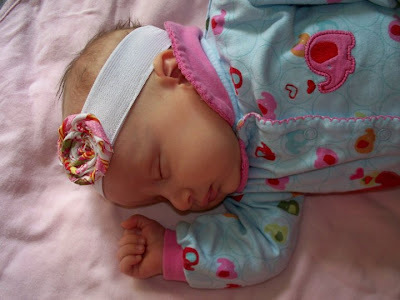 My sister has a 7 week old baby girl and I'm about to thrown down, making some cute hairbands for her.